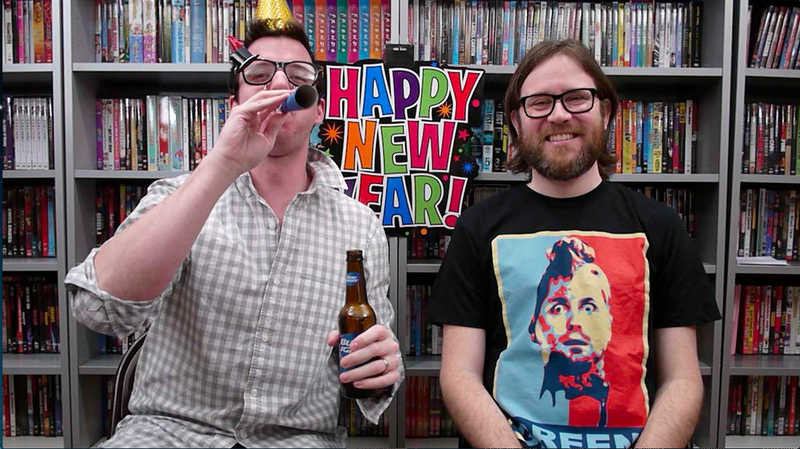 Ring in the new year with some movie-watching resolutions from Patrick and Doug. Surviving the Game is a "remake" of The Most Dangerous Game (1932). I typically watch your videos right when I get up in the morning, so I guess I didn't catch the dry humor. No worries. "Humor" might be a stretch. I have actually never seen The Rules of the Game, M, Army of Shadows, or The Red Shoes, and have been meaning to see all of them, so maybe I will join you in this film journey. I also rented 8 1/2 once and found myself unable to make it all the way through, so maybe I'll try that one again, as well. I saw The Red Shoes around the time Black Swan came out. It's really good. You have to fight your way past the first 20 min or so but afterwards it gets really involving. Peter Lorre's performance in the last 10 minutes of M is fantastic, and is definitely worth watching. Actually, he didn't. I just cut the next line out. Doug will never disappoint. So it's just me and him that are juvenile? I'd disagree. The intensity in which Jerome Robbins and Robert Wise move the camera during the musical scenes echoes early Scorsese and was a major influence on him. Funny how Robert Wise made The Haunting between this and The Sound of Music. The guy had range for a good long stretch. West Side Story is one of the best musicals of all time. It's not work to watch it once you get started. The lead actor is terrible but even that is part of the enjoyment. West Side Story is certainly way better than Les Miserables that it was compared to earlier, if we're talking about the movie adaptations in both cases (what else would we be talking about on a movie website?). I really like it. The lead actor may be bad, but Natalie Wood makes up for that. Haha, oh, Star Trek...You're so boring. You know what it has been ages since I rewatched West Side Story so I'll give it another chance Adam and Cameron, I do like Robert's Sound of Music quite a bit.